The Pro Icons plugin extends the WordPress block editor functionality by adding useful extra block elements to it. The Pro Icon block allows you to place a custom icon into any block from any post or page . Make your website more informative and interactive . 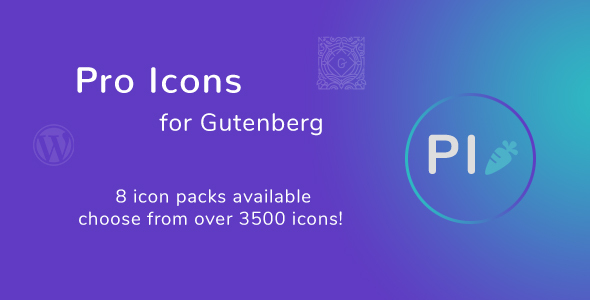 There are available 8 icon packs, so you have to choose from over 3500 icons! The Icons are fully customizable – starting with the Icon Style – Icon Size, Icon Color, Background Style with custom background color, opacity & border radius. Also you can setup custom paddings, margins, shadow & border! Let’s not forget about alignment! Choose to align the icons to the left, center or right!